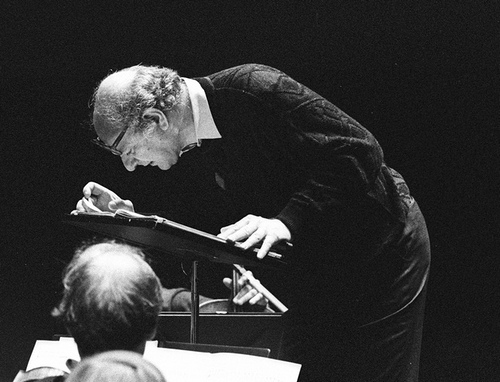 Mauricio Kagel Interview with Bruce Duffie . . . . . . 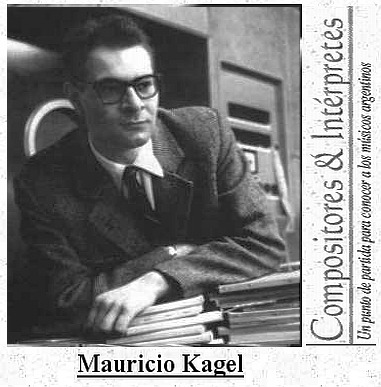 Obtaining an interview with Mauricio Kagel was not an easy thing to do. He was always busy with many diverse activities, and was leery of meeting the press. His complex vision of life in general and music in particular did not lend itself to easy comprehension, especially by people not directly involved in the process of creating and performing. 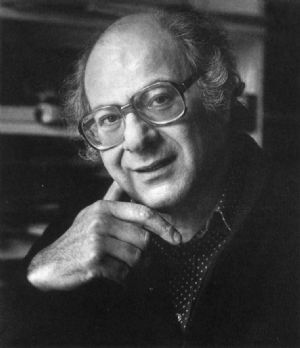 Fortunately, I had both the background to understand his ideas and the opportunity when the composer was at Northwestern University in November of 1992. Our conversation was akin to the professor/teaching-assistant relationship, and in the end he was pleased with the session. His English was good, but often he would search for just the right way to convey his idea. He sometimes tried two or three different words, and occasionally asked if this or that was how it would be expressed in English. He also illustrated his thoughts in such a way as to make them clear and understandable. Without changing his specific ideas, I have tried to render this material in such a way as to be readable in a direct and concise way. A few of his mannerisms have been left as he spoke them when they were charming and made his point. Here is what transpired that day . . . . .
Bruce Duffie: You are a composer and filmmaker and writer, et cetera et cetera. How do you juggle all of these many aspects of your career? 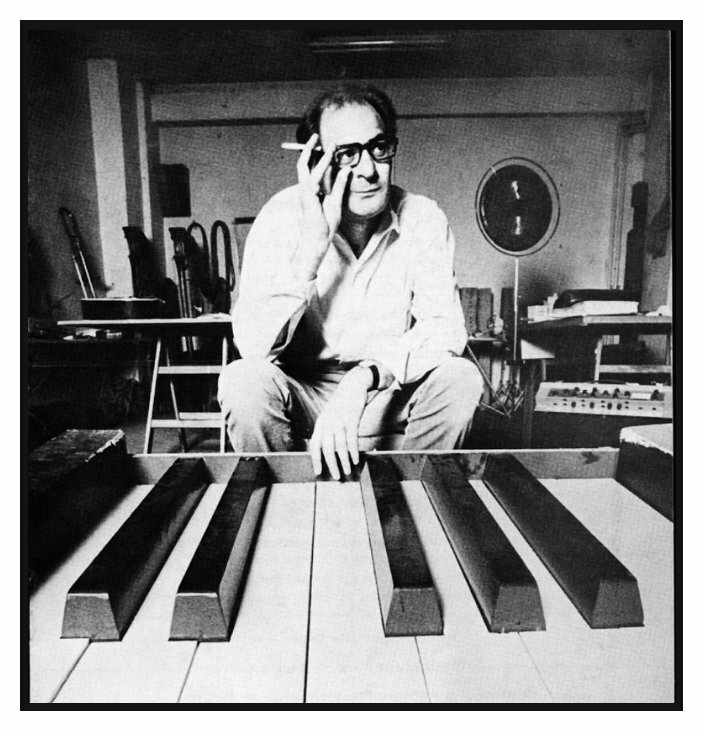 Mauricio Kagel: They are all related to my composer-profession. Today, when you start learning composition, you learn to think on time. That means you always are cutting time, writing music, and the same is for films, the same is for video, the same is for radio. I have made a lot of radio plays and for me, all these activities are related by the common denominator called time. BD: But it seems that they're so different. The film is such visual, and the music is purely audio. MK: Yes, but when you make an analysis of very good films, you will always discover how musical is the montage. I have made the music for Un Chien Andalou, a very old and marvelous film by Buñuel. It was a silent movie, made in '28. In making the music in '82, I made an analysis of the time proportions and sequences, and this was very, very musical. Then I read that Buñuel was a violinist. Also Chaplin is very good example of musicality. BD: Then if you have a certain amount of time, you have to put the music into that amount of time. Does that not constrict your creativity? MK: Not at all, because you have to learn to work with such limits. Also the composing periods, like four measures, eight measures, sixteen measures — which was always very important in the classical music — was not something against the creativity, but on the contrary. At the same time, putting some limits is a way to activate the fantasy. BD: I see. So that, then, becomes what is necessary to have the notes appear in your mind. MK: Exactly, and to find the way to do it with such a limit. BD: Do you find there's a big difference, then, when you have a specific time period, as opposed to when you have a symphony or string quartet that can be any length? MK: Yes, but periods are also in symphonies of indefinite length. Periods are always present. BD: Yes, but you're determining it rather than it being predetermined. MK: Yes, but music is a rather conservative art. MK: For example, for hundreds of years, a musical period was always square, say, four measures, eight measures, sixteen measures. I say "square" is the wrong word, but you understand what I mean. There was no period of three measures, of five measures, of nine measures. BD: But now we've gotten away from that; we can write three or five or nine. MK: Okay, but it's another way; it is a new conservatism if you like. It's a very, very complicated item, but even if you say there is no rule, there is a rule. BD: The rule is that there's no rule? MK: Yes. I don't think really chaotic music exists, for example, or a real free music. You remember the time of free jazz? At the end, free jazz was very academic! Free jazz become non-free jazz because they are repeating the same kind of formulas. BD: So it's free until they find what it will be, and then it becomes circumscribed into that? MK: That's exactly that, and this is what I will call conservative. BD: I would think that you, as an avant-garde composer, would want to free yourself from any fetters possible! MK: Yes!!! Yes, of course!! I agree, and I will try very hard to do it!! But at the same time, when you make an analysis of what music history is, you find a succession of conventions. BD: Do you like any of the conventions that are imposed on you? MK: Of course not!! But I invent for me the non-conventions which eventually are also conventions. BD: So you invent your own conventions? MK: Exactly that. 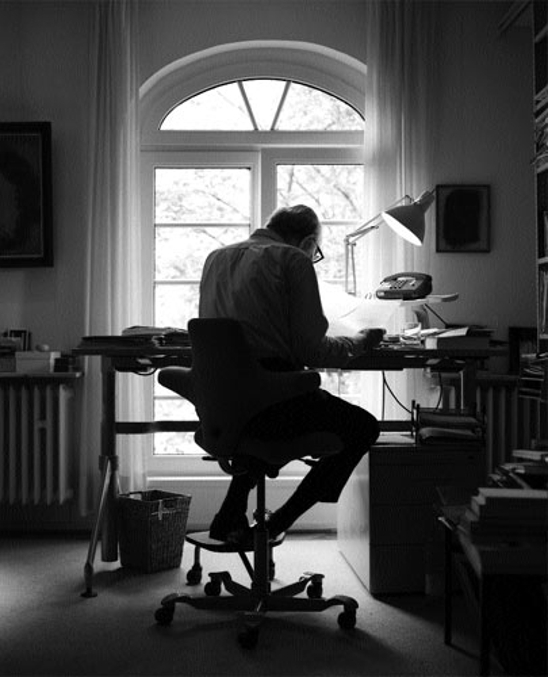 For years I was working in something which is a kind of history of music of the negative characteristic; that means what important composers never have done, or why they never have done certain pieces or certain sets or chamber music or opera in the musical language. This was my analysis of music history, and it's very interesting. BD: Why no Verdi symphonies and no Puccini chamber works? MK: These are very primitive examples, but interesting examples. BD: And you found this to be a negative? MK: I say negative in the way that doesn't exist. If you'd never used the word "fire," then it is a negative in your vocabulary. It is a non-word. BD: So it's not negative in terms of rejection, it's like a photographic negative. BD: Is it the responsibility of each composer to explore every possibility? MK: Not this, but in the melodic construction of each composer, there are certain melismas which never appear. I was exploring those because I was interested to make a music history of these non-appearances. For my students it was a marvelous time because we were working like detectives, like a Sherlock Holmes of the non-appearance. BD: But in order to know what was not written, you have to know what was written and understand it. MK: Of course! This was my pedagogical trick. BD: Do you find that you yourself are part of a lineage of all of these positive and negative composers and compositions? MK: Of course! I am sure! I am sure! My generation, or the generation after my generation, followed almost religiously a set of rules for what can be written or what can't be written. BD: In your opinion, is there any kind of musical composition that cannot be written? MK: I will never say this. One very, very enjoyable aspect of music history is that the future is not predictable. I find it very trivial to say the future will bring this and this or we are going toward this and this, because if you live fifty or sixty years, you will be in front of at least two or three really very important changes in the way of doing music! I saw, in the last 40 years, a lot of very important changes of direction! A polyphony of directions, and this is absolutely marvelous. Today it is possible to have very different ways of doing and thinking music at the same time! Nobody has the truth. BD: Is that a good thing or just a thing? MK: It is a very good thing. A polyphony of opinions is a very good thing. Nobody has the truth; nobody can say, "I'm doing the right music." BD: Are you doing the right music for you? MK: This is important. I have really tried to find the music for which I was searching all my life! This is a fight which each composer who is really working seriously and hard has, because the mind says something which the hand doesn't respect! Or the opposite — the hand will always do something different than the mind. You have to teach the hand to respect this.... or sometimes not! You can use spontaneity or improvisation of the hand for certain scores, but it is really a fight between the manual activity of writing and the mental activity of thinking on the composition. BD: Are there times when there's a straight line from the mind to the hand to the page? MK: Yes, but not all the time, and you need to have a control about that. BD: Once it's on the page, do you have any control over it in terms of the performers? MK: Is a good question. I never forget that the points on the score are not the music. This is only a code for somebody else who can understand. My code is like a telegram, and a telegram is not literature. BD: The sound in the air is the literature? MK: Yeah. The other thing which is really important is I never forget that I am not doing my music at the moment of the performance. I use other people to do the music, and my duty is to do it so that the performers can identify it. They can say "Yes, it is my music. In the moment in which I am playing, this is what I really like to play!" He becomes able to identify with the musical score, with his part, and in this moment I have won because my message, through this code, has arrived right to the performer. BD: So it's very much a collaborative art. MK: It is absolutely collaborative. It was always this. 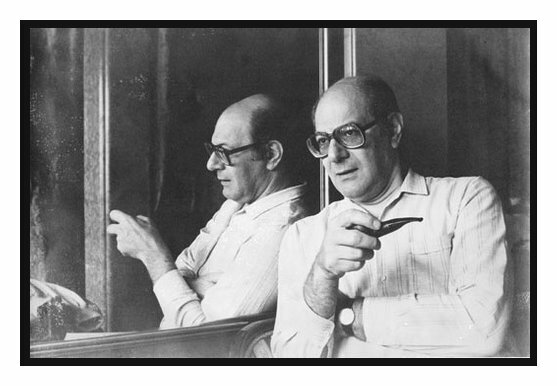 BD: How far can the performer stretch your ideas and still have it be the music of Mauricio Kagel? MK: I think this is the same process as for other scores of the past! There are hundreds of books about musical interpretation and hundreds of books also about each definite period of the music history. You could say that in the score you can read all this; it's very clear. It is clear and unclear on the same time because the musical score is really a code. BD: Where is the line or the point at which it no longer is yours and it is somebody else's or something else? MK: This can happen for certain scores, but it is not possible to make of this a rule or make a general theory and say it happens this way. Sometimes it happens, yes. BD: It'll be different for each score, perhaps? BD: Over the years, have you basically been pleased with the performances you've heard of your works? MK: First of all, I think today a younger generation of performers has grown up with much less prejudice than in my time. This is one of the first aspects which is important, that people have less prejudice. They are more open, cooler, and less aggressive in their relationship with new music. BD: Is this performers, or audiences, or both? MK: We are talking about performers. This change is also, of course, from country to country and from school to school, but if we look at the statistics, I could demonstrate that today a large number of young musicians who like to play new music grew up with new music and refuse to participate in the old antagonisms. As for the public, it's quite different from town to town or from city to city or from country to country. There are some places in which a school of music is doing a large number of concerts with new music and they win a public, or a museum in which the people say, "Yes, we need music, not only pictures." This will win other publics. All this is part of illuminating work. There are other place in which nothing occurs, and when you come and you play Scriabin, the people go out because they find this impossible! If you play the late works of Richard Strauss, they will think the music is really at the off limit already. BD: They have a certain narrow, prescribed era in which they will allow music to happen, and if it's too early or too late they won't accept it. MK: If somebody's hearing Mozart for 30 years, when you play Brahms he will become very, very amazed because it is something which is a totally different musical language! MK: For people who like to hear music! Of course for music lovers, and for those who are interested in new music! BD: Are you conscious of the audience when the thoughts go from the mind to the hand to the pen? MK: It would be a lie if I tell you no, but it would be also a lie if I tell you yes because it really is a mystery. Sometimes you think you are sure of the impact of a piece, and this does not occur. There are sections in a piece which are non-spectacular at all, and they become very touching because of the context, because before and afterwards happens this and this and this. Then you have a section which is relatively easy or transparent and nothing occurs, and it's touching! This is really very important because it is a matter of discussion what is really good music. Good music may or may not be complex in the way we define complexity. BD: So this is a mistake to assume has to be complex? MK: It is a mistake to have rules, or to have a recipe. This is a mistake to think, "Well, in the other piece I have made this and this and this, and it was very successful; I will do it in a different way here." It will be a failure because you can think your message will come, will be understood, and nothing occurs! BD: So it surprises you sometimes, the reaction you'll get to your music? MK: Absolutely. I need to hear the pieces in rehearsal and react and correct, but when the piece is played in public, I have surprises. I love to have surprises. BD: Is it good that there are diverse reactions to the same piece at the same moment? MK: This is also very good question. I think this depends of the capacity and quality of the public. This is an aspect which has nothing to do with the piece. BD: You're at the mercy of whoever comes to the concert? MK: Yes. That means the reaction to the piece is different because I have no possibility to influence the reaction of the public. Let's put it in other terms. If you play something like The Art of Fugue in a country which has never had a concert with cembalo, the people would get tired of that! Cembalo is tiring to hear for two hours, but this has nothing to do with The Art of Fugue. It has to do with the sociological and cultural situation of the people who are hearing it. BD: So if I have a problem with it, it's my problem, not Bach's problem. MK: This is it exactly. I prefer to tell this, because if I say people have a problem with Kagel, it will sound strange. But if we put the same problem with music of the past, of recognized composers, then the shock is much stronger. I have to tell you a little story. Some ethnological expedition went to Central Africa and they played Beethoven 9th Symphony. The chief of the tribe reacted, and they asked, "Please, what is your opinion?" And he says, "Too many notes." [Both laugh] It's a marvelous story because it shows you how different people can hear! This has nothing to do with the piece, but has to do with a very old tradition of making music for these people! BD: In the Western European tradition, we have been educated in the Beethoven harmonic style all of our lives. BD: Should we be educating our children now in the Kagel harmonic system all of their lives? MK: [Takes a deep breath] Of course not! But you can or cannot influence your kids because the cultural environment is much stronger than that of the parents. BD: Let me ask the great big philosophical question. What's the purpose of music? MK: [Thinks for a moment] I have to answer with a statement. I decided to become musician, and when I say musician I mean composer, performer... let's say a professional listener because I couldn't define what music is. BD: So you're still exploring, then? MK: I'm still exploring, and even in my '60s, I will never be able to define it. Also I think this is really impossible to define exactly, because it depends on a lot of constants which are not in our hands. Two weeks ago I took a taxi in Parma, Italy. It was a rather long trip for such a small town, and the taxi chauffeur asked me, "What is your profession?" I said, "Musician." The reaction was incredible. He almost stopped the machine, looked to me and said, "You are bringing luck to us." It was incredible because I would never think of that. I'm doing my job, I have pleasure, but I would never think of that." 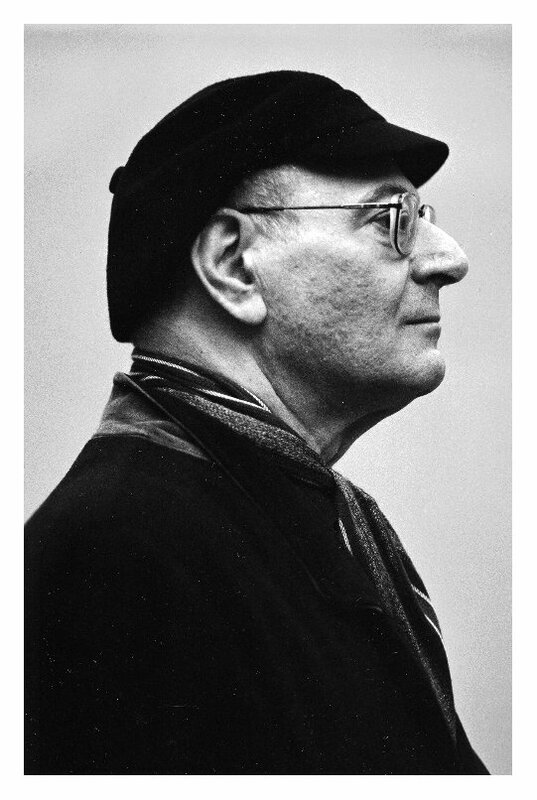 He said, simply, "You," not Kagel, but musicians, "are bringing luck to us!" This could be a part of my answer. BD: But this is not why you do it; it's a by-product. MK: It is a by-product, but our profession has to do with luck. We hear something which is really great music, and we are touched because of that. [In a hushed but intense tone of voice] We are lucky! In the moment of hearing, we are lucky! That means as a composer, you are composing in a state of grace. BD: Would that African chief have felt lucky after a second hearing of the Beethoven 9th? MK: You should ask him. MK: I am optimistic about the necessity of young people to do music. The truth is no composer will ask himself, "Where is the future of music?" or "Is the music in a crisis?" No composer; I never met anybody who would. Only music critics will ask this, and this is symptomatic of the situation. A composer spends his full time with work, and when he is done with a piece he will start a new piece. With each new generation the music style will change because they have different things to say, but the conversation is always same. BD: So you are saying the same thing that Beethoven said and that Monteverdi said. MK: Please, without irony, I think yes! But it is impossible to discover this in this moment! You asked me earlier about the recording of my quartet with the Arditti Quartet. When people hear this, they become, sometimes very, very lucky! I was very lucky when I hear the Beethoven last quartets, and Beethoven was very lucky when he heard Mozart string quartets. This is continuity, the tradition of continuity which is a tradition in itself. BD: So you are part of that continuity. MK: [Thinks for a moment] Of course. I hesitate because it is a lot of work and suffering, destroying bad measures and searching and finding. But at the end it is an incredible occupation of the mind. Of course is fun. BD: When you're working and tinkering, how do you know when it's finished? MK: Sometimes it is because you need to finish, because you are on the edge of the time. I think that without tension over us, there will be no music history. Practically each piece of music which you like was written under pressure of deadline. BD: Without that, everyone would still be tinkering with their first piece? MK: Yes. [Both laugh] Sometimes it is the pressure you need to finish, sometimes you finish because the form was for a certain number of minutes, or number of measures; sometimes you end because you have enough and you say "Okay, end point, finale." Sometimes it is absolutely unexpected. The beginning of each piece is unexpected. Don't think about the pieces you know, but think about the sensation you have when you hear a new piece. BD: You don't know where it's going to start? BD: Would you rather have your music played on a mixed program with Mozart and Brahms, or on an all-contemporary program with Stockhausen and Cage? MK: Both. I think this is a matter of the intelligence of programmation. I think programs only of new music are a very easy way to tell the people, "If you don't like, don't come." It's too easy; you open the door too much. You are programming the freaks of new music. This is the reason it is really interesting to compose programs which are very extraordinary. You can do a lot of benefit for the audience, and you can ruin the audience with bad programs. For example, look at the radio in Paris which sends only classical music — like yours. I am always interested in radio because I am an old radio man. In Paris, it is impossible to listen for more than 45 minutes because they are sending music without any commentary. MK: Piece, piece, piece, and this is painful!! MK: It is too much and you don't have the stamina. I wrote, once, that music is very easy if you don't concentrate too much. If you really concentrate, after 20 or 25 minutes, you have enough! So Paris Radio makes nonstop programs without commentary; only the name of the piece, composer, and performer; the next and the next, and this is a torture! And a lot of it is very candy, saccharine, sweet. BD: Lots of Baroque, lots of Vivaldi? MK: Yeah, yeah, yeah, yeah, yeah. Information is a necessity because you can touch much more people. You can make people much more angry if you give only music. This is unnatural! It doesn't exist in nature! 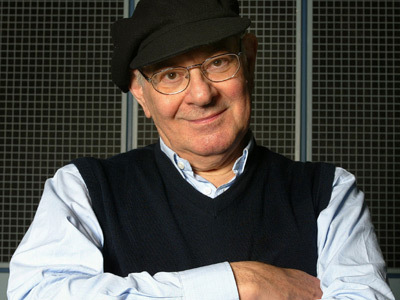 BD: Thank you for being a composer, and thank you for spending this time. I appreciate it very much in your tight schedule. MK: Thank you. Your questions were interesting; I am skeptical of doing interviews, of course, but I think you are on top of the matter. This interview was held at the Orrington Hotel in Evanston, IL, on November 2, 1992. Portions were used (along with recordings) on WNIB in December, 1996. A copy of the unedited audio was placed in the Archive of Contemporary Music at Northwestern University. The transcription was made and posted on this website in 2012.